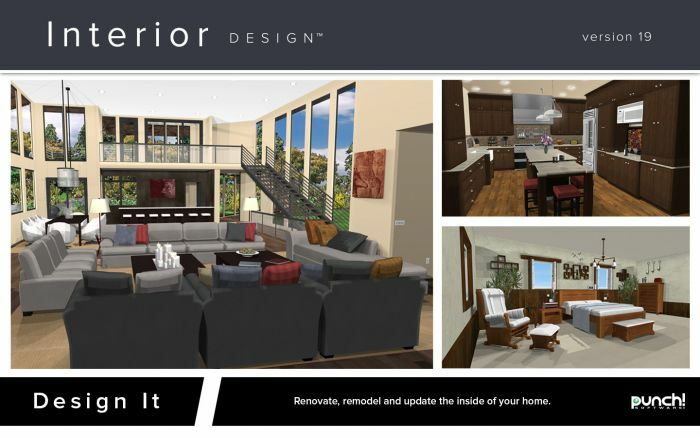 From simple renovations to complete home remodels, Punch Interior Design Suite version 20 is the right tool for your home design project. With easy to use tools and expansive libraries of materials and furnishings, Punch! 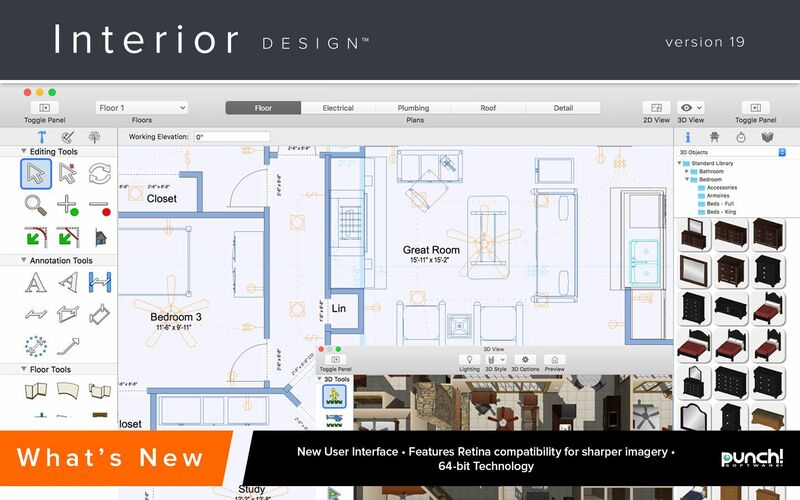 Interior Design Suite version 20 will get your project started in a snap. Start building layouts in seconds with the QuickStart feature, or work from an editable floor plan. Experiment with colour, lighting, materials, accessories and more with just one mouse click. Stay on budget with the cost estimator, visualise your plans in 2D and 3D, and easily print and share your plans with family, friends and contractors. Your dream home project starts with Punch! Choose from a selection of fireplace styles, then choose from brick, stone, stucco or other material options and colours. 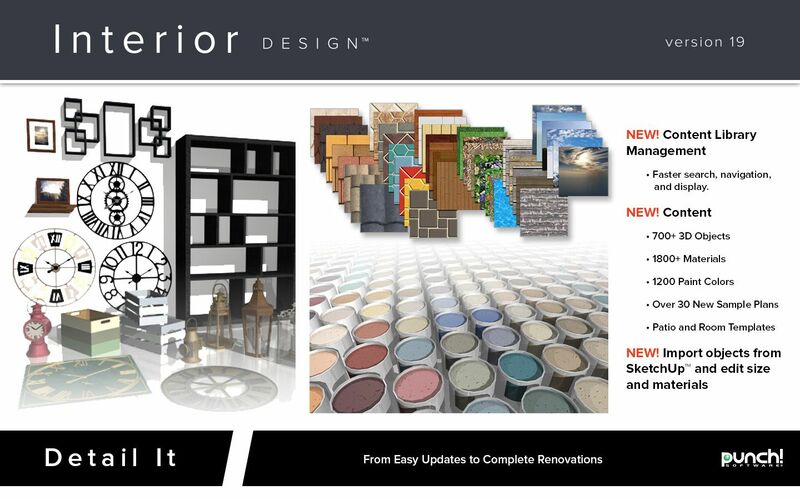 Choose from thousands of decorating materials including faux finishes, wood floors, counter tops, blinds and much more! NEW and improved library is easier to use and faster to search. 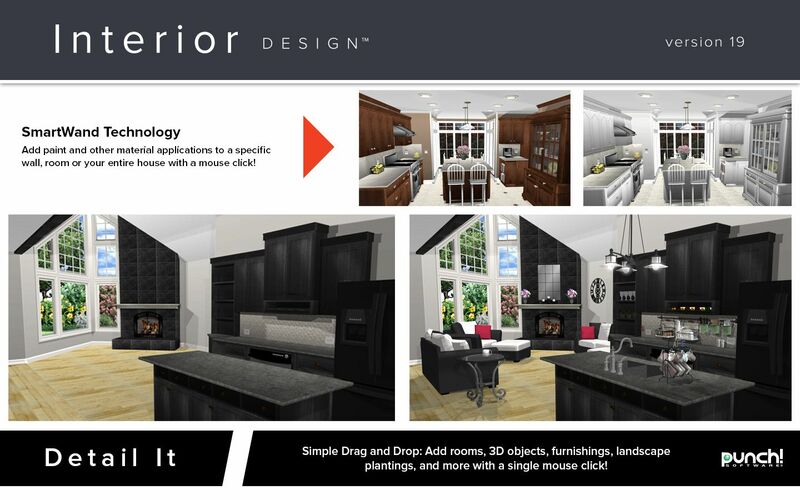 Simple Drag and Drop Tools: Add rooms, paint colour, furnishings, landscape plantings and more! 3D Custom Workshop: Build virtually any object or modify existing objects from the library. Use photo-realistic materials including wood, fabric, paint colours, stone, brick, and more. Build Green: Go green in one click; watch your design go green with design tips and objects; recycled glass counter tops, bamboo flooring and more! Make your home more energy efficient with new appliances or update your windows, doors and more! SmartWand™: SmartWand™ technology adds paint or other material applications to a specific wall, room, or your entire house, with one mouse click!